How do I focus on health (and not weight)? We live in a culture that's obsessed with achieving a particular body shape and size. For females this is slim ("but not too skinny") with 'just enough' curves. For men this is a six pack and large biceps. This culture celebrates weight loss and demonises fatness. No wonder it is so hard for people to detach weight from health. 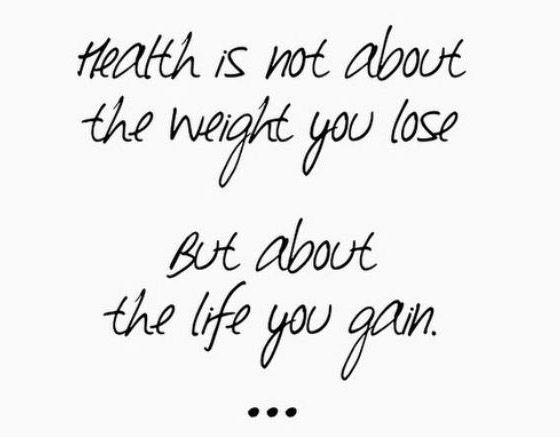 Emphasising weight loss as an indicator of health can negatively impact physical and mental well-being. 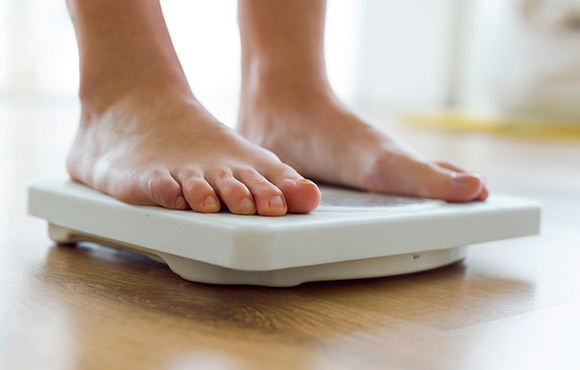 Focusing on weight loss has been shown to cause weight-cycling and preoccupation with weight, disordered eating (if not eating disorders), and poor body image. Isn't it ironic that one recommends weight loss as a way to improve health and body image, when weight-focused dieting is actually a risk factor for gaining more weight AND developing eating disorders? "But doesn't weight loss improve health outcome(s)?" The relationship between body mass and health is inconsistent. It is true that there are studies showing association between weight loss and health improvements. But the important thing to note here is that these are all 'association' only. It is not a 'causation'. Eating more nutritiously and moving more regularly can affect health AND weight at the same time. So these behaviour changes that were made are most likely the cause of health improvement, rather than weight loss on its own. There is in fact good evidence showing that health can improve independent of weight loss. Fortunately the dangers of dieting are becoming more known, but disguised dieting still manifests in the form of "clean eating", "counting macros", and "this is not a diet it's a lifestyle change (but the aim is weight loss)". Any plan or program that promotes weight loss, or encourages you to believe that your body would be better in a different shape or size, is a diet. And it can trap you in the diet cycle for another weight cycling. That is why I (and all other HAES and Non-Diet practitioners) encourage people to focus on health or positive behaviours, NOT weight. "if this didn't change my weight would I still want to do it for my health?" Detaching weight from health and self-worth is not an easy process. Don't be discouraged if you find it difficult at first. It's all part of the learning. So, what health goal(s) would you like to work on? Bacon L, Aphramor L. Weight science: Evaluating the evidence for a paradigm shift. Nutrition J 2011;10:5. Gaesser, G. A. (n.d.). Exercise and Diet, Independent of Weight Loss, Improve Cardiometabolic Risk Profile in Overweight and Obese Individuals. Kathleen Cadenhead, MD, Margo Sweeny, MD, Barbara Leslie, RD, Helen Yeung, MHSc, RD, Margaret Yandel, RD. Shifting the focus to health, not weight: First, do no harm. BCMJ, Vol. 54, No. 3, April, 2012, page(s) 144 — Council on Health Promotion.